Do bottoms make you laugh? Then this book DEFINITELY will. It’s all about bottoms, and it’s written by one of the world’s funniest authors. 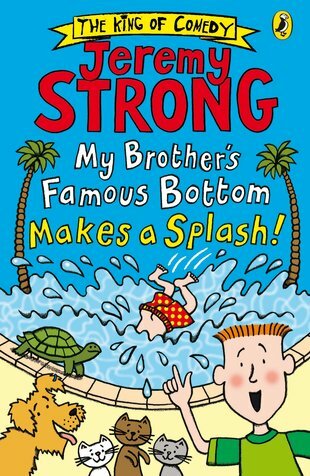 Yup: Jeremy Strong isn’t called the king of comedy for nothing. He’s an expert at making kids laugh their socks off! In this book, Nicholas and his family are off on holiday to Turkey. So far, so good. But where is Cheese’s bottom? What with stray tortoises, lifeguard rescues and Mum’s belly-dancing, this holiday’s not about rest and relaxation. It’s mostly about bottoms! Tee hee!